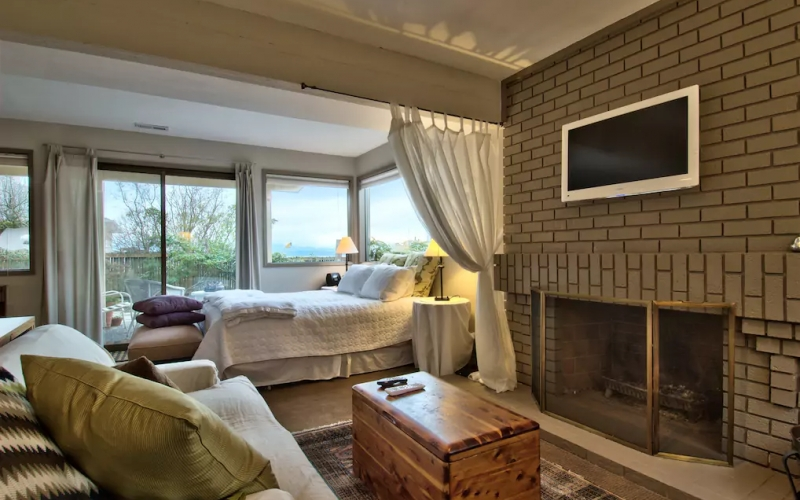 Short term vacation rental near downtown Edmonds. One night or one week. Cozy studio with outside seating, private entrance in residential neighborhood. The Studio is also near Yost Pool and Park, with mixed stands of western red cedar, red alder, bigleaf maple and western hemlock trees offering a glimpse into the past, and the future. The park with its many trails is situated along Shell Creek and the deep ravine its waters carved over time.